At the heart of every community, thousands of volunteers help maintain and improve infrastructure and the lives of their fellow citizens. Within our client communities, volunteer opportunities are abundant. Here are five ways you can connect with your community and make a difference. Are you interested in building pinewood derby cars, roasting marshmallows over a fire while camping out, or helping build an adolescent’s character to become an engaged citizen? If so, become a BSA volunteer. 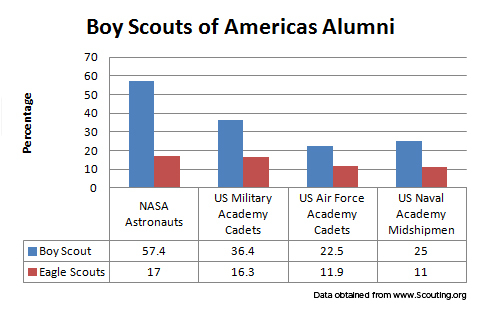 Data shows that being a Boy Scout leads to holding positions in government, involvement in the NASA program, and enrollment in the military academies. BSA reports that 189 members of the 113th Congress participated in scouting as a youth and/or adult leader, 27 are Eagle Scouts; and 18 of the current U.S. governors participated in scouting as a youth and/or adult volunteer, four are Eagle Scouts. Marty Wessler and his wife, Leslie, enjoy spending time with their sons as Den Leaders in their Cub Scout pack. “Helping these boys to grow up adhering to the Scout Law, which encompasses 12 character traits, is an honor and a privilege; we are educating future leaders,” Marty said. Hospitals are always looking for volunteers willing to share their time and talents. If babies are your passion, check into being a nanny. I recently spent a year as a nanny in the Neonatal Intensive Care Unit, comforting crying babies who were suffering from addiction, as a result of their birthmother’s drug abuse. Although sad, this was a rewarding experience. Other ways you can be involved at your local hospital include answering the phones, transporting patients, delivering flowers, keeping families informed during their loved ones surgery, or assisting with fundraising events. So why not volunteer at your local food bank? “Each day, hunger is experienced in every community across this country…Ending hunger in America depends on the volunteer work of literally millions of Americans who know that they can make a difference.” (Source: FeedingAmerica.org) Take action and contact your local food bank to volunteer individually or as a group. Opportunities available to you include production, meat packing, clerical assistance, stocking the food pantry, and assembling grocery bags. For the past two years around the holidays, Wessler employees have participated in a Day of Giving through Gleaners Food Bank’s BackSacks program, which provides nutritional food to children on non-school days. This is an excellent way to give back, and your donation of an 8-hour day affects thousands of people. We encourage you and your coworkers to volunteer. At Wessler, we are fortunate because the need for volunteering is recognized and supported; the company allows employees 24 hours each year to volunteer in the community. In the end, it doesn’t matter what organization or cause you choose as long as you take the time to reach out and connect with your community to volunteer for a cause. 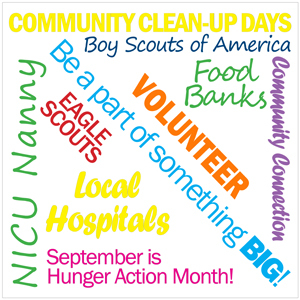 Comment below, share on Facebook, or Tweet at us about your volunteer experiences! Where do you volunteer?